Look for paninis like prosciutto caprese with balsamic glaze on Italian loaf and chicken pesto with fresh mozzarella. For pies, expect to see options such as pesto and tomato with spinach and goat cheese, pulled pork with BBQ sauce and caramelized onions, and buffalo chicken with celery and bleu cheese drizzle. Rounding things out are salads like Caesar, cobb, and a house salad with romaine hearts, red onions, and cucumbers tossed in your choice of dressing. With a 4.5-star rating out of two reviews on Yelp so far, Streeterville Pizzeria & Tap is on its way to developing a local fan base. Kevin L., who was among the first Yelpers to review the new spot on January 23rd, said: "Great neighborhood spot! Stopped by here on Tuesday night and got a pizza and a beer for only $15. Tasty, good beer selection, and awesome service--would recommend!" Yelper Maddie S. added: "I've seen this space have Flour & Stone, Roberts, and and Urban Crosta occupy it. I really wasn't a fan of Urban Crosta so I was happy to see that there was a new pizza place that replaced it." Interested? Stop by to welcome the new business to the neighborhood. 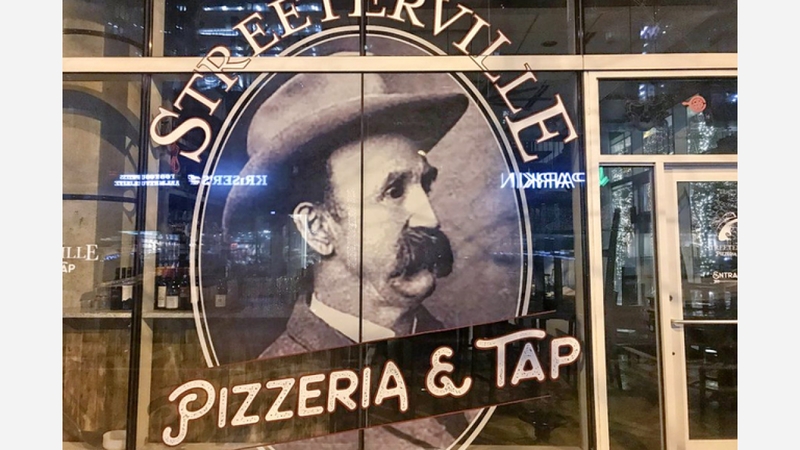 Streeterville Pizzeria & Tap is open Monday-Thursday from 4pm-10pm, Friday from 4pm-11pm, Saturday from 11am-11pm, and Sunday from 11am-10pm.